July 14, 2018 ~ Craig M.
I can’t believe I discovered this album on an airplane. It was one of those longer flights with the personalized video screens for each passenger. Which is a nice way to catch up on movies, but I like it more when there’s a handful of short films to watch. It’s stuff I wouldn’t otherwise discover, and my propensity to fall asleep on planes doesn’t get in the way so much. I’m also one of the few passengers who checks out the audio programs. Classical music is out of the question (too much dynamic variation — the long quiet stretches are inaudible) but something tolerable usually shows up in the jazz section. That’s how Sfumato came up. Recognizing the ACT Music cover-art style, I figured it was worth a listen. Turns out Sfumato covers a lot of ground. The music is led by Emile Parisien’s soprano sax and the steadfast piano of veteran Joachim Kühn … and if you don’t know what’s coming (as I didn’t), the appearances of accordion, not-so-placid electric guitar, and even electric bass are welcome delights, little surprise bonbons spread throughout the tracks. Mostly, the territory is European jazz, steeped with hints of classical and old-world folk — but it’s got an edge. I was ready to enjoy this album but still got more than I was expecting. Accordion shows some virtuosity and even some free-jazzy moments during the suite, “Le Clown Tueur de la Fete Foraine.” The suite opens with sad nostalgia, evoking images of a big-top era gone by … but the title translates to “The Killer Clown of the Fair.” It doesn’t get outright sinister, but Part 2 includes a fuzzy electric-guitar solo, and Part 3 gets into some fast-paced jazz with a light dramatic tinge. “Le Clown” doesn’t get too dark, but if that’s your thing, “Brainmachine” goes there, swaying between two heavy chords. In a brighter mode, “Arome de l’Air” lets Manu Codjia chop away on guitar and gives Parisien a nifty solo as well, sometimes almost buzzing like a harmonica. 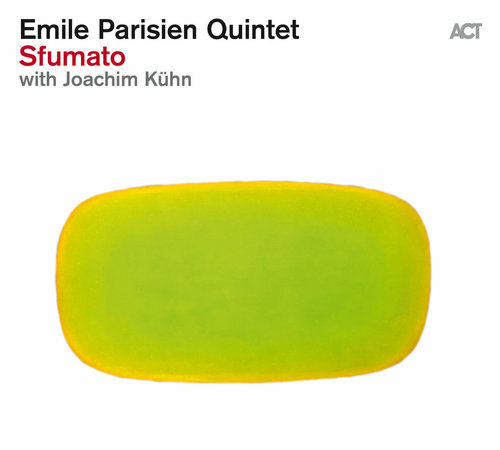 Sfumato won an Album of the Year award in France, and the band has since released a live album that includes a Wynton Marsalis appearance. I’m going to have to check that out.